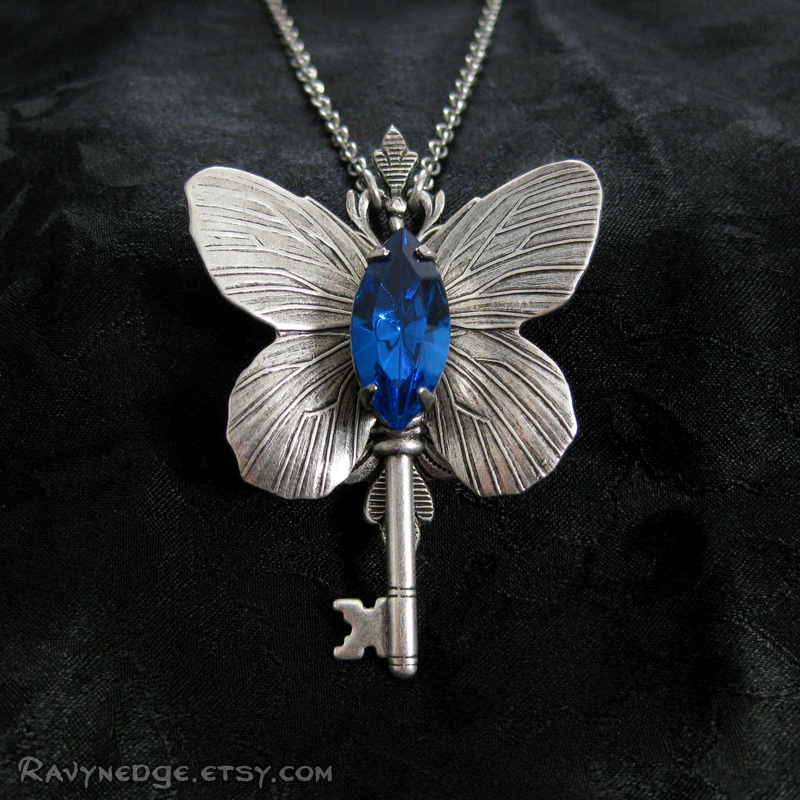 Keeper Of Curiosities Necklace - Swarovski and Silver Butterfly Skeleton Key Pendant by RavynEdge. 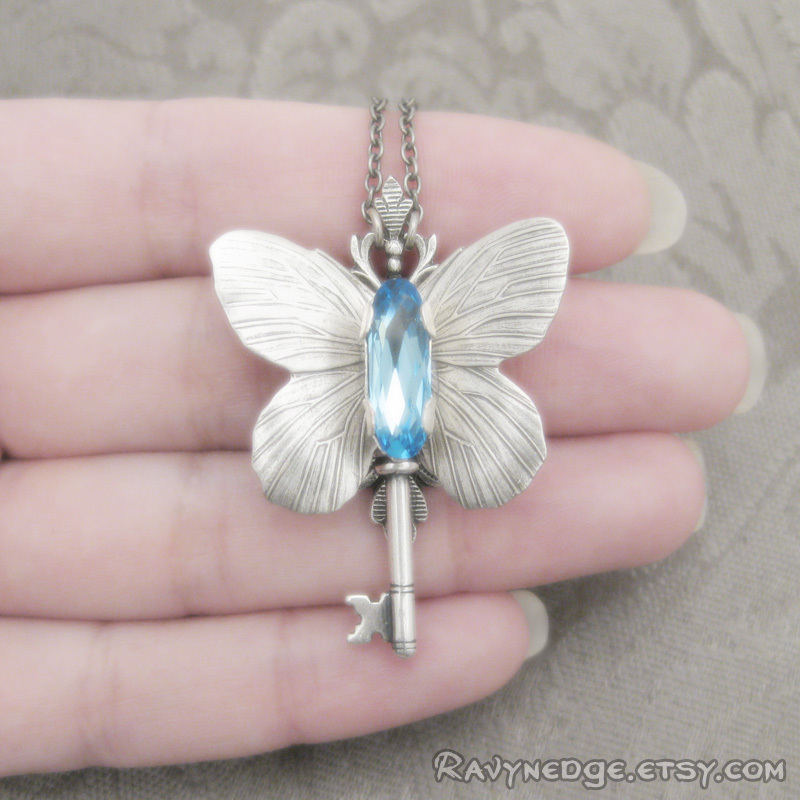 This sweet little keeper of curiosities seems to have fluttered away from the cabinet it unlocks. 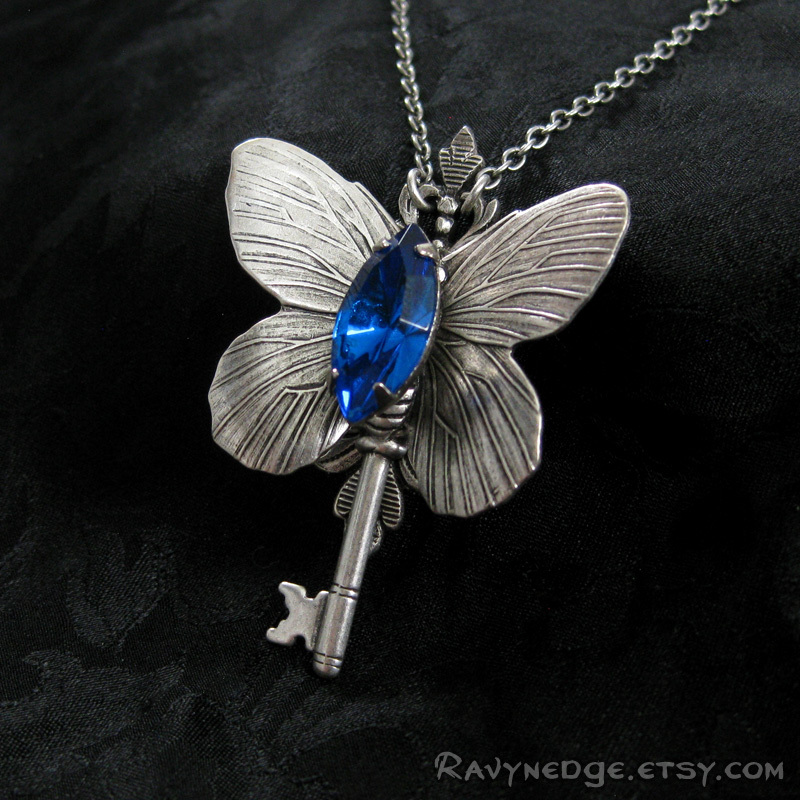 Give this butterfly skeleton key a home and perhaps one day you will discover the many curiosities it protects. 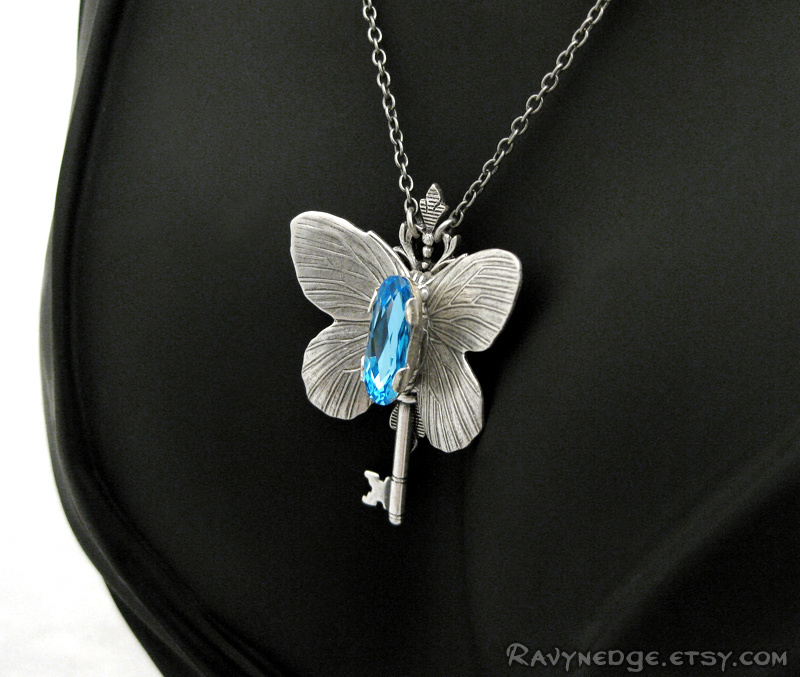 The beautifully detailed dimensional butterfly key is made from sterling silver plated brass adorned with a Swarovski crystal. It measures approximately 1.7in (43mm) in height and 1.2in (30mm) in width. The chain is sterling silver plated steel and the length is adjustable from 16 to 18 inches (40.6 to 45.7cm). 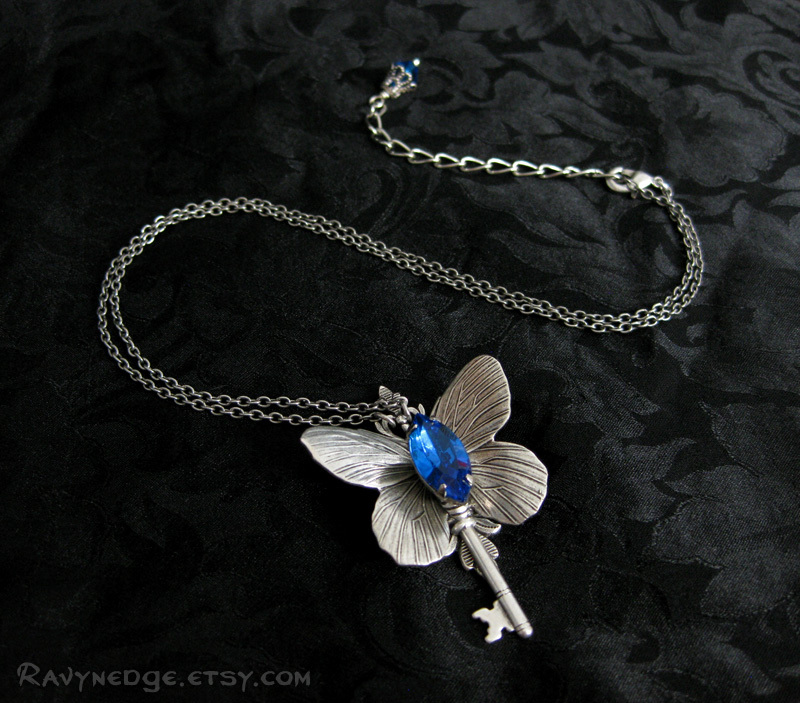 It closes with a lobster clasp. Shown with a capri blue navette crystal and an aquamarine bagette.